In honor of Labor Rights Week, we’re putting the focus on workers’ rights, which apply to everyone who works in the U.S., regardless of immigration status. Many may be surprised to learn that U.S. labor laws provide protections even to undocumented workers. The laws are enforced without regard to an employee’s immigration status. The law affirms that employers should not have an advantage because they underpay, or do not pay, undocumented employees. Some workers in low-wage jobs in industries like agriculture, construction, food service, residential care, and waste processing may have limited English proficiency and are often not aware of their rights. Many fear standing up for themselves and don’t realize that they have the same rights and protections as workers who do have citizenship. But under the FLSA—or the Migrant and Seasonal Agricultural Worker Protection Act (MSPA) for agricultural workers—all workers in the country have rights to a safe workplace and fair wages. The FLSA requires employers to pay covered employees a minimum wage and, in general, time and a half of an employee’s regular rate of pay for overtime hours. The MSPA requires employers and farm labor contractors to pay the wages owed to migrant or seasonal agricultural workers when the payments are due. Understanding the laws helps workers help themselves and show others in similar circumstances how to keep themselves safe and paid a fair wage. To illustrate the impact of labor laws on vulnerable employees, a 2015 blog post from U.S. Department of Labor leaders details some examples of how labor laws are enforced. One successful application of the FLSA took place in the San Francisco Bay Area among residential care workers, a low-wage service industry with many foreign workers. After repeated investigations by FLSA staff found that workers were underpaid by millions of dollars, more than 1,300 residential care workers received backpay that reflected actual earnings. In another case, in 2015, a construction firm in Illinois hired non-English speaking employees to work on a school renovation project. Although company leaders knew that asbestos would be exposed in materials removal, a hazard to unprotected workers, they failed to warn employees of the danger, failed to train them in safe methods, and did not ensure workers used appropriate equipment to prevent asbestos exposure. They also threatened to fire workers who told safety inspectors about it. The company was issued steep fines and numerous citations. The blog goes on to note that nationwide, investigations during the 2014 fiscal year found that as many as 270,000 workers in low-wage jobs were underpaid significantly, by more than $240 million. Through ongoing follow-up on complaints by workers, and strategic intervention by investigators, earnings continue to be recouped and delivered to underpaid workers across the U.S.
As a further outcome of efforts by FLSA investigative teams, an online tool, Workers Owed Wages, has been developed that allows workers who believe they have been underpaid to look up an employer, and find out if funds have been collected and held for them. Find a Fact Sheet on Undocumented Workers available in multiple languages. Download or print your own free Worker Rights booklet in English or Spanish. 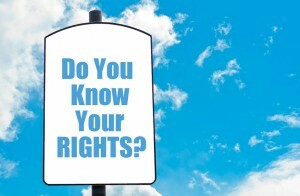 This is very valuable information, you are right as you said wrote in your post that many unaware workers who are in fear and does not know that they have the same rights as everyone else. As the law stated that labor laws protect workers, you cannot be wrong when you seek a legal help with employment lawyer when your rights are violated.